Mamelodi Sundowns coach Pitso Mosimane has revealed what led to his side’s early Caf Champions league exit. When the Caf Champions League draw was conducted on March 21 in Cairo, Zamalek and Mamelodi Sundowns’ name was pulled out and thrown into a Group C where incumbent champions Wydad Casablanca looked like the most potent team, Pitso Mosimane and perhaps the entire Masandawana family thought they had a favorable draw. Downs – as they were unseeded – managed to avoid giants and Champions League royalties TP Mazembe, Al Ahly, Esperance, ES Setif and Etoile du Sahel, but were however pitted with the Moroccans as the group drew the spotlight as the pool carrying the previous champions of the last edition. “I think we wanted the wanted the big boys in the groups because we usually find the big boys in the group. We probably took it for granted to say there was no Zamalek, there was no Enyimba,” said Mosimane. At face value, the Brazilians and Wydad were expected to emerge above the little fancied Guinea outfit Horoya AC and AS Togo-Port from Togo. However, those two minnows – if you like – did not stick to the script as they turned Sundowns’ world upside down. First was when Minwana Phezulu surrendered a 2-1 lead at Horoya to draw 2-2 and dropped two points. “You look at it as a lesson learnt that you need to win as early as possible and that is the regret that we had from this campaign. It looked too easy for us in this group but you’ve got to win the games. We will come back, we will regroup and it is a good lesson learnt,” “Jingles” explained. 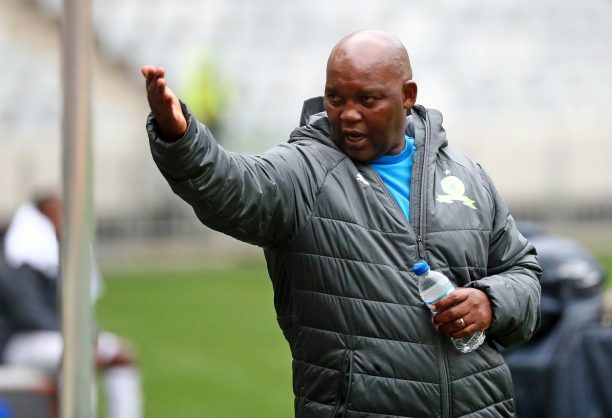 Mosimane is one who always laments Downs’ congested schedule, but in this case, Sundowns had plenty of time to plot for their opponents as they played three Champions League games on the spin without any interruption as domestic was in recess. Be that as it may, Masandawana went on to drop more points when they were thumped in what Mosimane describes as a “sickening match”, one he gets hot on the collar when he has to talk about. It was a 1-0 defeat at the hands of Togo-Port, who they later went on to beat 2-1 in Atteridgeville. At that point, it looked as though Sundowns’ campaign was back on track but suffered another 1-0 at the defending champions’ backyard in Casablanca. However, their fate was effectively in their hands, but they dropped the ball. “We are too ambitious, but reality is that you can’t get everything. You can’t have your cake and eat it, as long as we lift a trophy at Sundowns every season I am happy. We will try again in the Champions League, it is not all lost,” said Mosimane. Then came the knockout blow, or showstopper if you like, in the form of a frustrating draw at home to Horoya where Sundowns just needed a win to advance to the quarterfinals. The Guinea outfit remained resolute until the final whistle to hold Downs to golden goalless draw as they made it out of the group stages. Nonetheless, Sundowns will make their return to the continent’s premium club competition in December this year in the transitional edition which will end in May ahead of the Africa Cup of Nations.